Travel with several youth as they explore the rivers and estuaries of the Comox Valley. Created by Wendy Kotilla in 2004, the Youth & Ecological Restoration (YER) program has had over 330 participants. 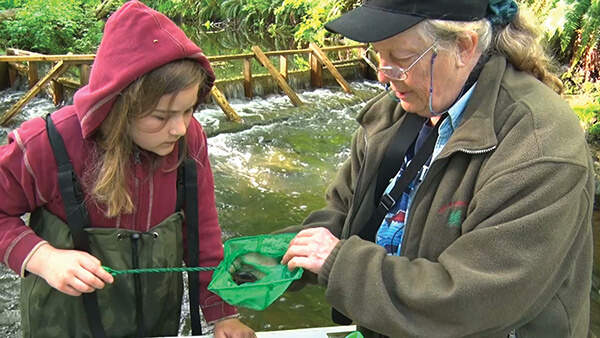 Young people work with local researchers and environmental groups, while learning ecological restoration, wildlife rehabilitation and scientific methods. Guided by the power of nature, YER employs ecotherapy practices and mentoring support for youth to gain a sense of worth, belonging and place. Filmmaker will attend.